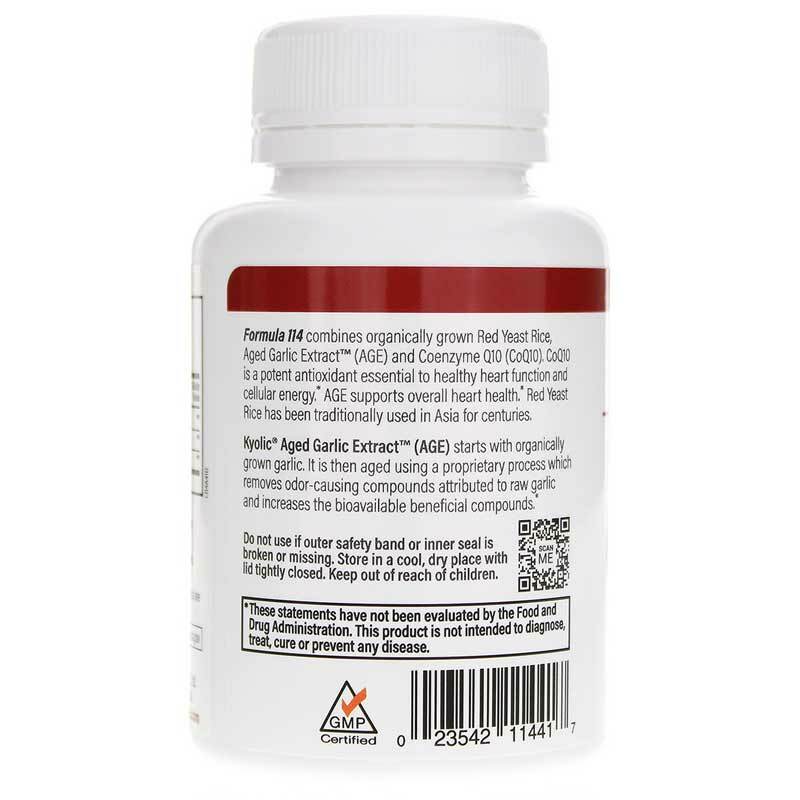 Using the power of natural food sources and an important co-enzyme for overall healthy, Koylic has created a unique formula to support your heart. This dietary supplement harnesses the potential benefits of Red Yeast Rice and Aged Garlic - two foods that may have a positive impact on your heart. Plus, you'll also find CoQ10 - an enzyme found in your heart and other organs. Red yeast rice contains compounds called monacolins, which may affect production of cholesterol. Garlic has been shown to possible support the elasticity of arteries while potentially reducing blood pressure. 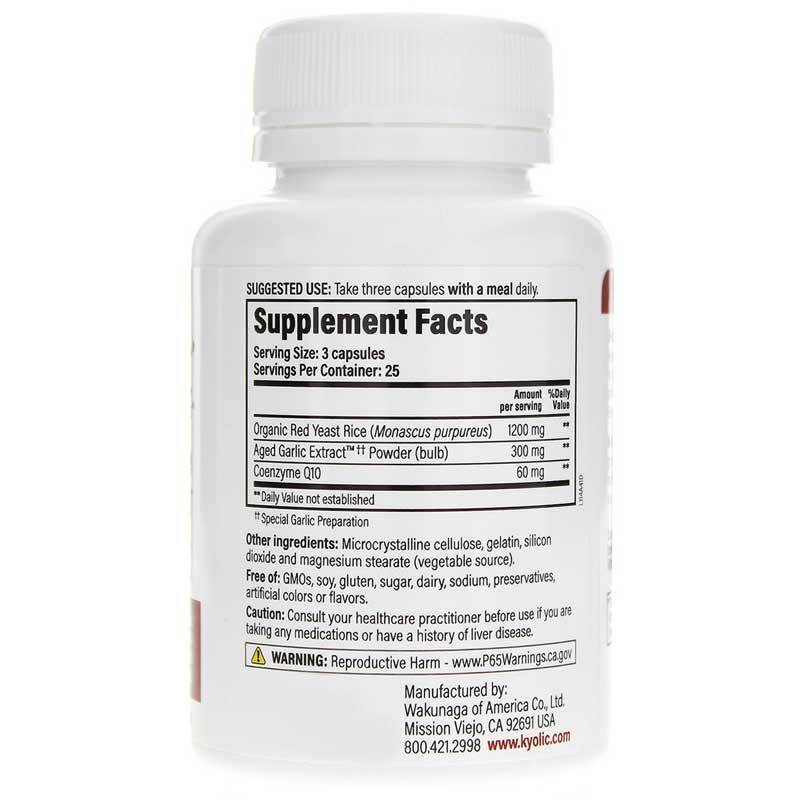 CoQ10 may be lacking in people with certain health conditions, and is an important substance for the proper functioning of many organs - including the heart. These three ingredients work together in synergy to give you unique benefits. 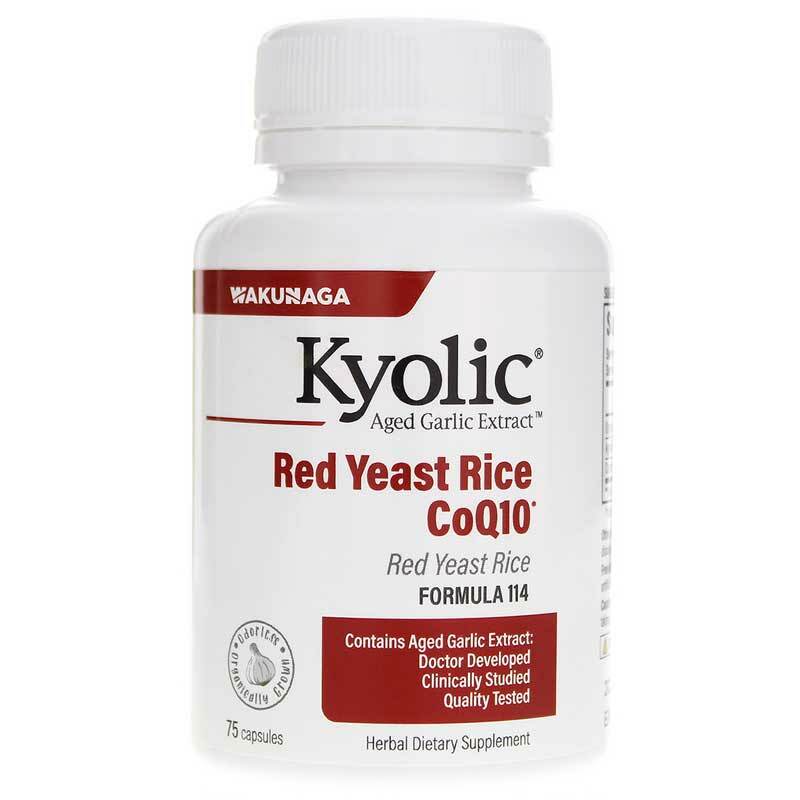 Talk to your healthcare practitioner about trying Red Yeast Rice plus CoQ10 from Kyolic to support your own heart health. Other Ingredients: cellulose, gelatin, silicon dioxide and magnesium stearate (vegetable source). Contains NO: sodium, yeast, dairy, preservatives, sugar, gluten, artificial colors and flavor. May contain trace amounts of soy. Adults: Take three capsules with a meal daily. Consult with your healthcare practitioner before use if you are taking any medication or have a history of liver disease. Do not use if you are pregnant or are breastfeeding because this product contains a chemical known to the State of California to cause birth defects or other reproductive harm. Discontinue use if you experience any muscle pain or tenderness. Keep out of the reach of children.